The photographers from PawPals Photography are artists with the lens of a camera. Our lifelong passions are dogs and photography. We capture the essence of your pet and looks into their soul through our viewfinder. Our greatest satisfaction is seeing the expression of happiness on your face as you see the photographs for the first time.We are consummate professionals and takes great pride in presenting our product to those lucky enough to book a session. We will work with you and assure that you receive the highest levels of service and are completely elated with the finished product. Once you have experienced the PawPals touch, you are sure to return again and again to capture more of life’s golden moments with your precious pet. 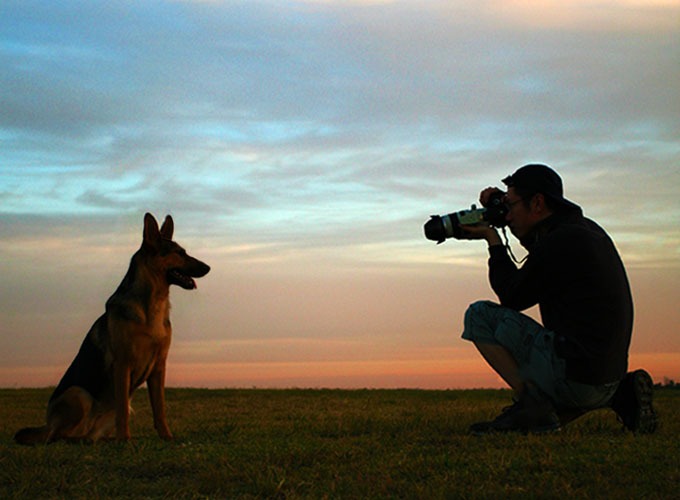 PawPals photographers work with Dogs, Cats, Horses, Wolves and any other four legged member of your household. You may schedule a session by phone or book directly through this website. We will get back to you within 24 hours. Professional pet photography for all DOGS and pets in SYDNEY and beyond.